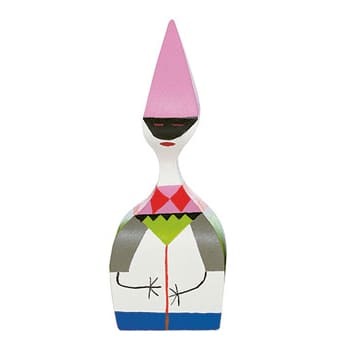 Alexander Girard originally created the Wooden Dolls (1953), a whimsical assortment of figures both joyful and grim, for his own home. Today Vitra makes them available so they can add a charming touch to any interior. Have fun combining them and creating your own gathering of colorful characters.